Dani Blue Eyes is Two! 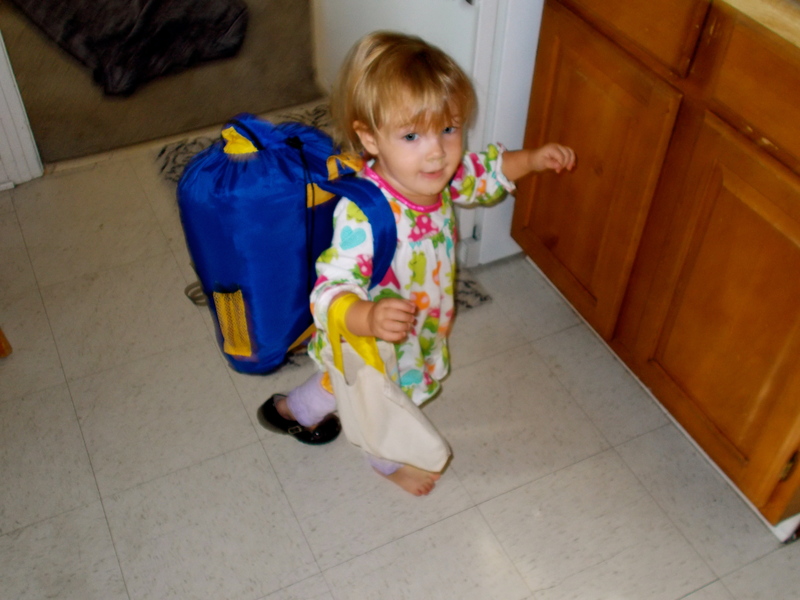 Dani Banani…with your sleeping bag backpack, a purse full of blocks, and one shoe on, you are ready to take on the world! My dear precious Dani turns 2 today. Two years ago today she came into our lives and blessed our world. And now, two years later, she continues to bless us and amaze us! Dani Blue Eyes, You are brilliant and inquisitive. Your two year old vocabulary is that of a much older toddler, almost rivaling in pronunciation with your older three-year-old sister. You celebrate life. You love to dance, to sing, to explore, to build, to create, to rejoice. You delight in the everyday blessings, dancing for joy when snack time is served or when a guest arrives in our home. And you are two! Yes, you have crossed into that world of two. Not quite terrible, for I refuse to accept and allow our home to succumb to this notion that you are terrible just because you are two. But you are clearly no longer our precious compliant and obedient listener. Rather, you are bold, courageous, and a little girl with a mind of her own. This is not a bad thing. But it does require continual prayer for you and for Mommy and Daddy, as we direct your boldness and courage in the right direction. You will do great things Dani! And as you take on the world, we will always be in your corner cheering you on! And so today, we celebrate your life–our precious Dani Blue Eyes!